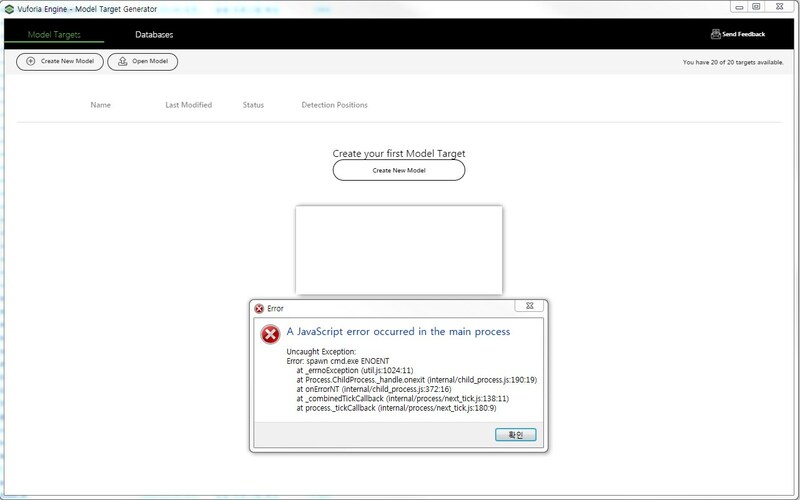 when trying to execute the Model Target Generator i get an Error Message and it stops working. Starting the .exe and loging in is no problem. When starting a new project I can choose a project name, a location and a CAD model. 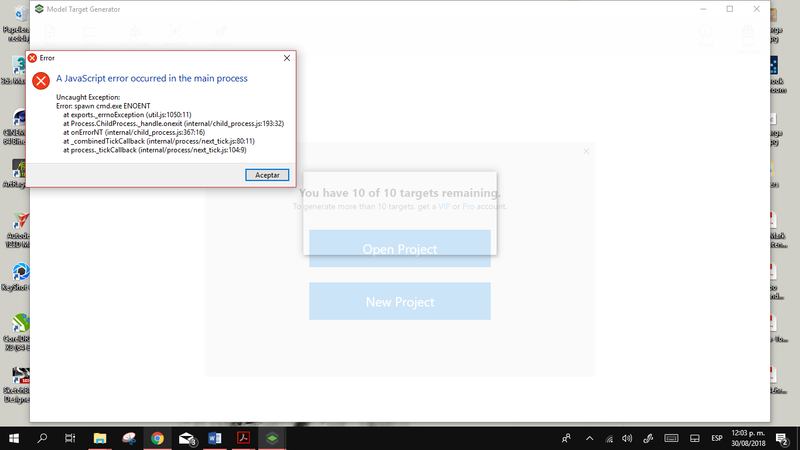 After clicking the create project button I get the error message witch you can see below. I tried it with several different models, locations and project names but the outcome stays the same. Apologies for the inconvenience. If you can provide the 3D model and steps used to recreate this error, it would be helpful to us for recreating and diagnosing the issue. The same is true of downloading to the best version. Could Anybody find a solution for this? I just responded in your other thread, but would you be able to share the model you are seeing this crash with so that I can attempt to reproduce?